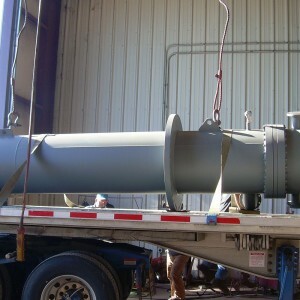 Suction heaters are used in a variety of industrial contexts to heat viscous fluids, including asphalt and fuel oil, to a temperature at which they can be pumped. Keeping entire tanks of these types of liquids at pumping temperatures can be prohibitively expensive. Suction heaters heat only the liquid being pumped through them instead of heating an entire storage tank of products. 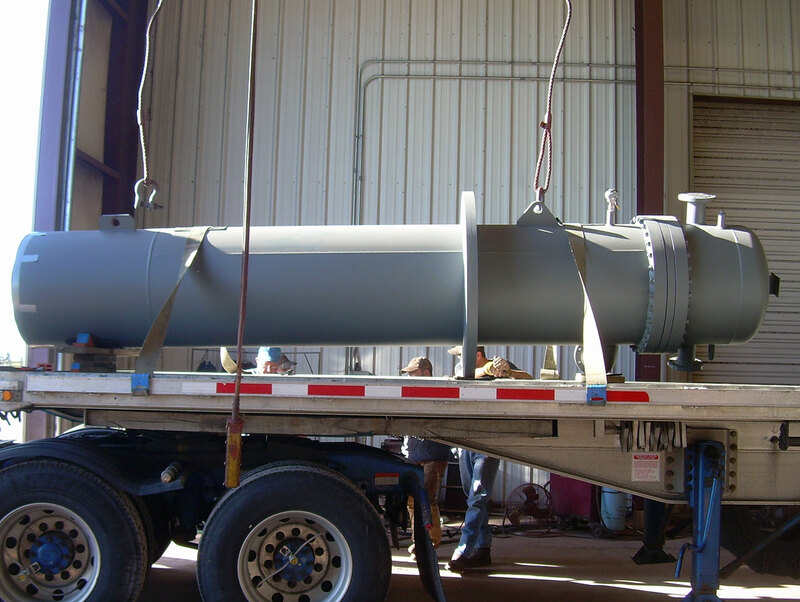 As a result, suction heaters are an economical, cost-effective option for plants and facilities in a variety of industries. At American Heating Company, we are proud to offer high quality, custom designed suction heaters. 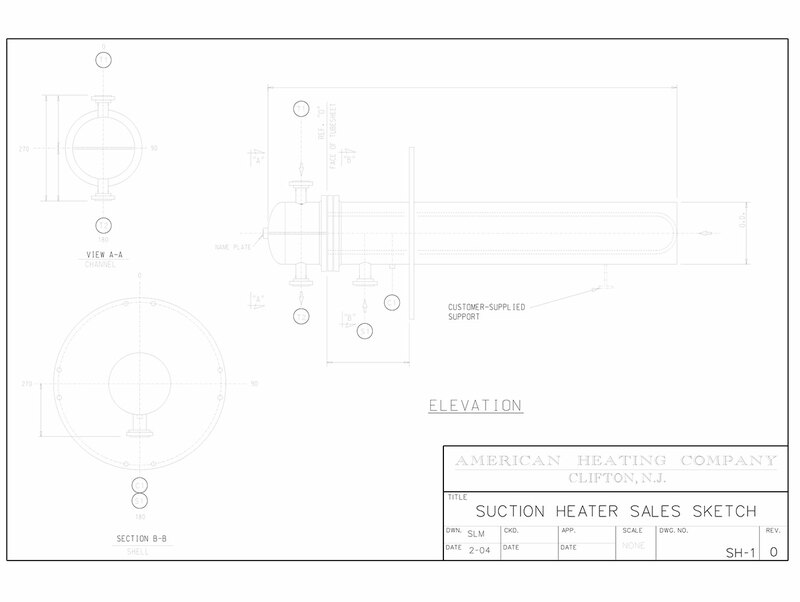 Built to ASME code and code stamped, our heaters consist of custom designed tube bundles mounted inside a shell. The shell is open at one end and closed at the other end. Fluid flows through the open end and is heated by a heat transfer medium-hot oil, steam or other fluid, then exits the suction heater outside of the tank. 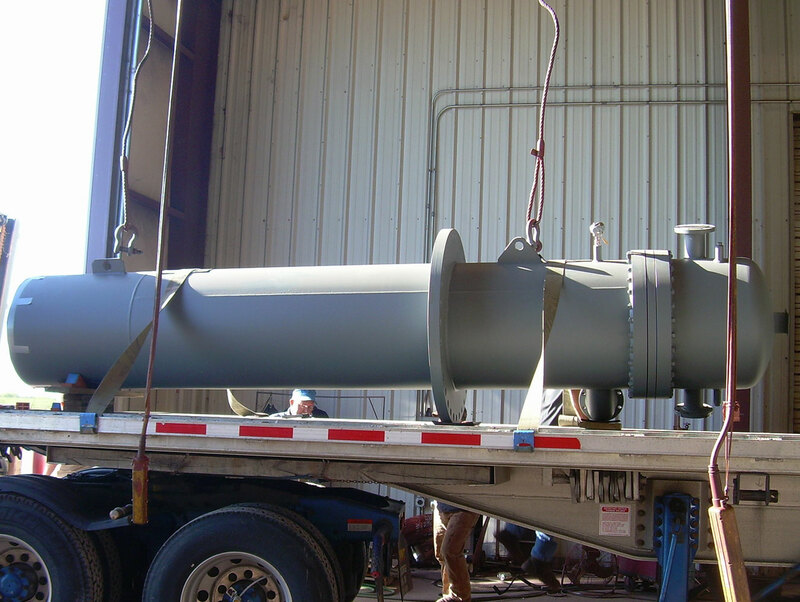 A mounting flange designed to bolt onto the manway flange in the tank is supplied on the suction heaters we design. If you are looking to save substantially on energy costs when it comes to heating viscous fluids like oil and asphalt, an efficient, custom suction heater from American Heating Company could be the solution you are looking for. 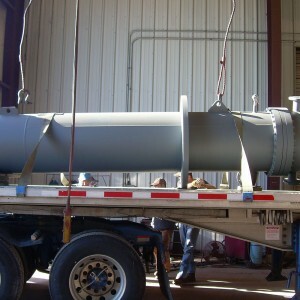 Our top of the line suction heaters are constructed with high quality materials and are built to last, requiring minimal maintenance and repair so you can keep your plant running smoothly and efficiently. 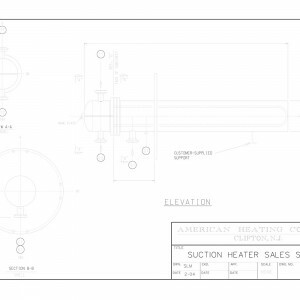 Interested in learning more about how a suction heater or other industrial heaters and heating products from American Heating Company can benefit your facility? Give us a call at (973) 777-0100 or fill out our easy online form to request a quote!